The Google Pixel phones have outstanding cameras, hands down. 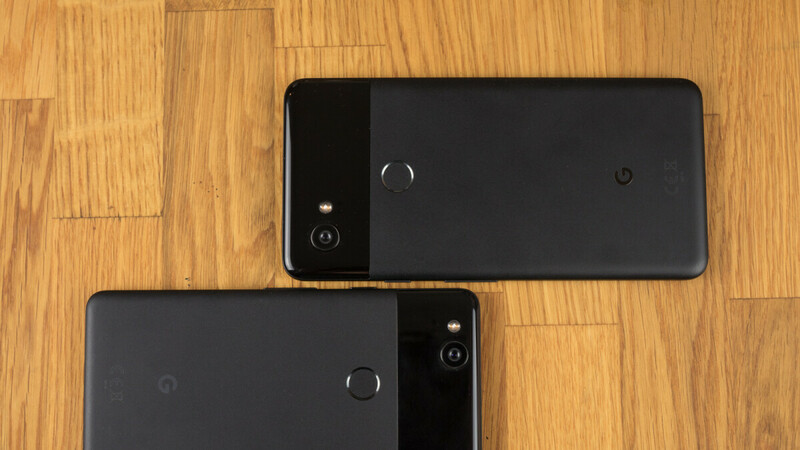 Thanks to Google's HDR+ software and hardware made to spec, the company managed to blow us away with the original Pixel and Pixel XL in 2016 and continued to do so with the Pixel 2 and Pixel 2 XL in 2017. Which is why it is a shame that some people still get issues with their Pixel's camera. Ever since launch, a small number of Pixel 2 and Pixel 2 XL have been having some sort of mystery problem, which does not allow the user to open up the camera app. It just goes "fatal camera error" and closes down. Google's suggestion for a fix is clearing the camera app's cache, restarting the phone, and trying again. If that doesn't work, the company suggests users put the phone in Airplane mode and trying to take a photo this way. Could the issue be somehow related to connectivity? In any case, some still get the error and can't use their camera. Such is the case for one Twitter user @CiarasRamblings. On the 8th of July, she tweeted at Google, letting the company know that nothing she tries seems to be working. The only way the user could get any access to her Pixel 2's camera is by opening Snapchat or another camera-based app. At this point, the selfie viewfinder would open up and work just fine. However, trying to switch from the selfie camera to the back-facing camera results in a black screen. There is hope, however. Google confirmed that it is aware of the issue and the team is looking into a solution. Some early reports claimed that Google is actually replacing Pixel 2 and Pixel 2 XL phones that exhibit this behavior. However, this seems to be a case-by-case basis and there has been no official word by Google on whether or not it replaces phones with the problem. It now seems that the company has narrowed it down to being a software issue, instead of a hardware one, as it seems to be hoping that it'll be able to fix it via an update. Understood. We're aware of this issue and are looking into it. As a workaround, try temporarily putting your phone in airplane mode and then try to take a photo again. Keep us posted. We'd like to stress that it does seem this is a problem with a very small number of devices. Some users only get it sometimes, some have had it in the past and don't suffer from it now, others simply can't open their camera a single time. And some who have managed to somehow fix the issue report that the camera continues to act funky, failing to ever focus, or coming up with corrupted shots. If you have this problem, maybe see if you can get your phone replaced, as it has been an issue since the devices launched in October of 2017 and no official fix has arrived yet. The Pixel phones have the best cameras on any phone and no doubt that it's disappointing that people are having this issue with them. Kudos for Google acknowledging the issue and working on a fix, but let's hope something like this doesn't happen again. What the crap, the phone was practically unusable because of this error. I would try to record a video and the phone would freeze, I would then restart the device and the phone would be nearly crippled as it was 98% unresponsive. Only after 20 minutes of repeatedly restarting the phone would it go back to normal performance. The issue eventually went away for me, I think it was resolved with an OS update, but for a primary selling point of a phone (The camera in this case) causes so many issues, you would expect to get some form of confirmation from Google about it much earlier than a couple months before the release of the phone's followup. Right now, I think the phone is working perfectly with Android P beta, though I have noticed the most subtle evidence of some image burn along the lower portion of my screen. I suspect that people using gesture navigation on Android P devices will experience far less of this issue though. Looking forward to the future. While it’s great that Google is aware of the problem and is working on a fix, it is truly unfortunate that the second generation Pixels are experiencing yet another issue. It’s these constant issues of the Pixel smartphones that have kept me away as a potential buyer. These Pixels do have great cameras (although many have deemed other smartphone cameras better, like the Huawei P20 Pro, Huawei P20, HTC U12+, Samsung Galaxy S9+, and Xiaomi Mi 8), which just makes this latest issue so unfortunate. I hope that Google takes the necessary steps to really improve QC department concerning the 3rd generation Pixels, as their branded smartphones have been more expensive than the previous generations. It would be a real shame if they have more issues/problems than the second generation Pixels (since they have been having more issues/problems than the first generation). Such expensive smartphones that are deemed as flagships really should have much better QC. I am leaning towards hardware issue on this one. I had a similar problem on my LG v20. Whenever I try to switch to the from camera, the main camera force closed until I wipe cache and restart the phone. This happened every time. The fix for me was to change the from camera which I discovered was dead. So for the pixel, it could (hopefully) just be that the connector is not sitting properly. That's what I'm thinking as well. It helps to discuss it with someone who actually has "experience" instead of firing off at the mouth in an attempt to act like they know what they are talking about. I understand that issues unfortunately pop up, so let's hope Google will take care of the users impacted by the issue because outside of this, the Pixel 2 cameras are the BEST on any phone. That's an assumption or a conjecture. That's a proven fact based on all the feedback from credible sources against people who are just uninformed, as usual. Lol, thank you for admitting that the Pixel 2 cameras being the best IS an assumption or conjecture. You have finally realized that there are better cameras on smartphones, lol. I guess that was too much credit to give you to say that an accidental word being missed skewed the meaning of my comment. I wasn't admitting to anything. Some genius you claim to be. LMAO! It’s always pure comedy to see you walk back your statement once you’ve been exposed. What you said about the Pixel 2 camera being the best is an assumption or conjecture is absolutely true, and even you know it. That’s why you said it. But don’t let the facts ruin your BS backtracking because you didn’t have the mental faculties to keep up your crap charade. Do continue. Well I wasn't walking back anything. What I said was an accident since I forgot to add a word in. But of course you don't have to take my word for it about the Pixel phones cameras. Just look at the many different reviews and critical responses to the camera. Continue living in Denialville. Nah, you walked it back. Deep down you know that there are better smartphone cameras out there. Don’t take my word for it, just look at the different reviews and critical responses to the camera. ;) The only reason you keep saying otherwise is to go against me. But don’t let the facts ruin your fabrication. Carry on. Deep down I know that you're full of it, but don't let the facts ruin your usual conjecture filled comments. I can say this, those "better smartphone cameras" don't include the KeyONE or KeyTWO devices. Thanks for playing. LMAO! Do continue to be triggered because I pointed out that you realize that there are better cameras on smartphones other than the Pixel. It’s not conjecture when YOU are the one that said it. And thanks for proving what I have been saying all along about you trolling BlackBerry, as you’re bringing up BlackBerry branded handsets in an article that has nothing to do with them. Lol, you make this too easy. The pixel’s only saving grace having issues. What a terrible launch for a mobile phone. Maybe the 3rd time will be the charm. Exactly. Here’s to hoping that Google gets it right the third time. I don't think that's a sincere request since you don't have any interest in the Pixel whatsoever. I don’t care what you think, especially since you do not, nor have you ever owned any Pixel whatsoever. Obviously you do care as you're here on this very article responding. Were you looking in the mirror when you said that last part because we both know that you have never owned a Pixel nor will you ever will. Nah, I don’t. But YOU care. That’s why you initially responded to me in the first place. I’ve never claimed to own any handset that I don’t own, unlike you. I even proved that you never owned a Nexus 6P in one of your other now banned accounts. That’s why you quickly removed the Imgur after I pointed out that it was photoshopped, lol. We both know that you don’t own a Pixel or a KEYᵒⁿᵉ like you claim to, or you would have posted solid proof to prove me wrong by now. I see that you are still hung up on me being someone that I'm not. I don't care actually despite what you may think. I don't have to prove anything to you. I've never posted anything on Imgur or posted anything about a 6P. I bet it just eats you up inside to know that I have experience with something that you are a diehard fan of and it's hilarious. I see that you’re still denying who you really are even though no one believes you. You do care what I think, and that’s why you responded to me in the first place. And it’s you can’t prove anything to me, because you don’t own the devices. I’ve proven that when you posted your photoshopped image using another account here. I bet you’re just seething with anger about the fact that you don’t own these devices and have zero experience with them, and it’s hilarious watching you try and convince anyone that your fabrication is fact. Exactly. Glad you notice the truth, as opposed to those here that fire off at the mouth and choose to cover up the truth with and deflect from the real issues that being first with full OS updates can bring. Real smartphone users know this, as opposed to running interference for Google like they are a paid spokesman and try to pass off their fabrication as facts. I agree. I don't think they are putting the updates through enough testing. They really need to clamp down on the issues like this popping up. Of course you are going to have some mean individuals who have no interest in pixel devices and are only here to stir the pot and pick fights with people. Once again, props to you for seeing the truth. Of course, there are some people here that don’t even own any Pixel smartphone and never have. They are only here to pretend to that they do in an attempt to pick a fight with and spew venom towards others because they need to go against anything that certain individuals say. Speaking of pretending, some people would do fine with at least "pretending" to be part of their name because it will look like they know what they are talking about. I'm not trying to be mean, but it's the truth. I have experience with something that they wished they had and it burns them inside lol. Some people are obviously looking in the mirror and are talking about themselves when they make comments, like one person in particular here that’s pretending to own smartphones that they know that they don’t own, or they would have posted proof by now when prompted to do so. Those individuals continues to spew venom because they know that they are as fake as the 10th account they are now commenting under. Some people are so threatened by the truth that it's burning then inside. Some people talk about pretend, but they fail to understand that it's nothing personal. Just that some people have nothing to prove to some random guy on the internet who takes this place way too seriously. They need to get out more and stop being so mean just because someone doesn't share the same opinion as they do. Some people just make comments pretending to talk about others when they are really referring to themselves. They can’t stand the fact that others prefer things that they don’t, so they spew venom on articles about said things that others like. They’re so threatened by people having a different opinion from them and because they are able to post links to back up they say. These same people take this place way to seriously, as well they are on their 10th account here.